The Liberty 1-7/8 in. 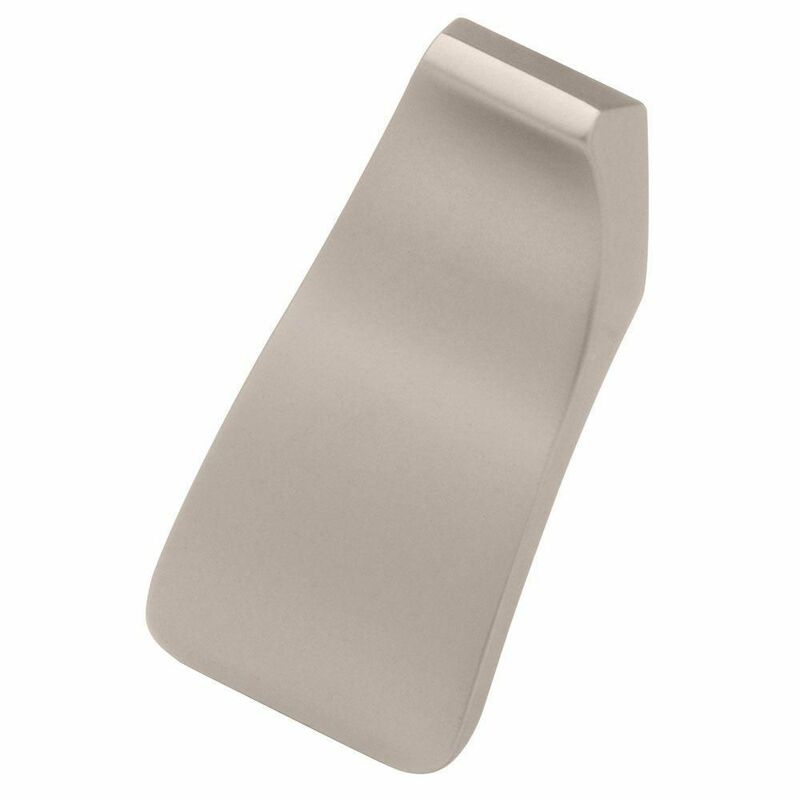 Pearl-Nickel Knob has a soft, sleek design and offers clean, elegant lines to complement your decor. The knob is designed for easy, rear-mount installation on 3/4 in. drawer fronts and cabinet faces. Fasteners included for easy installation. The Amerock BP29340G10 Candler 1-1/4in(32mm) LGTH Knob is finished in Satin Nickel. The Candler collection is distinctively elegant, with strong lines and soft curves that blend a touch of femininity with enduring class and timeless character. The classic Satin Nickel finish provides a sleek, lightly brushed, warm grey metallic look. The Amerock BP36628G10 Grace Revitalize 1-3/4-inch (44 mm) Dia Knob is Finished in Satin Nickel. Delicate points and gentle curves find perfect balance in Grace Revitalize, a subtle nod to a timeless pattern. Stepped edges offer both depth and beauty at every angle. The classic Satin Nickel finish provides a sleek, lightly brushed, warm grey metallic look. Amerock markets decorative hardware solutions that inspire, coordinate and help express personal style. For the kitchen, bathroom and the rest of the home, with a variety of finishes and designs for all decorating tastes, Amerock is the ultimate, time-tested source for hardware needs. Amerock markets products in four categories: decorative hardware, decorative hooks, bath accessories and functional hardware. The Liberty 1-1/4 in. Satin Nickel Round Knob adds a contemporary note to cabinetry throughout your home. A simple change can give any room a brand new look and feel. The high-quality die-cast zinc body features a satin nickel finish, and the knob features a rear-mount installation. 47.8mm Nu-Deco Knob The Liberty 1-7/8 in. Pearl-Nickel Knob has a soft, sleek design and offers clean, elegant lines to complement your decor. The knob is designed for easy, rear-mount installation on 3/4 in. drawer fronts and cabinet faces. Fasteners included for easy installation. 47.8mm Nu-Deco Knob is rated 4.8 out of 5 by 6. Rated 5 out of 5 by Cliff from Best hardware purchase ever The sheer heft of these pulls give them a solid feeling; easily installed and easy to look at; very modern design. This is the 2nd time I have used these. Rated 5 out of 5 by DoctorAl from Upgrade Kitchen We live in Annapolis having moved from DC in 2011. We have a kitchen circa 1997 and wanted to update it. The appliances were all white as were the cabintes (purchased originally from Home Depot) and the fixtures were, by current standards, an "old fashioned" gold colored. We bought new appliances, fridge, dishwasher, oven, sink fixture (from Home Depot), microwave all in brushed steel. Now we needed to get rid of the gold colored knobs on the drawers and cabinet doors. We priced several at local specialty stores but they were very pricey and not exactly what we wanted, So. we went to Home Depot and found an "edgy" design we liked which seemed to transform the kitchen when I put them on. They were reasonably priced and although they were not in stock, there were examples we loved available for examination. We ordered through the internet on Home Depot's website and only four work-days later, we received our 62 knobs. After installation, easily done by me, they really pulled the kitchen together. Thanks to Home Depot for having exactly what we needed. Rated 5 out of 5 by suchymuch from Simple and elegant cabinet pulls These pulls make my bathroom cabinets sparkle. They are easy to install and are simple and elegant. Just enough to open the doors and drawers but do not overwhelm the cabinetry. Also extremely well priced. Rated 5 out of 5 by WOODER from NU-DECO KNOB (TANG) NICE PIECE. GOOD ROOM BEHIND FOR FINGER. SEATS WELL AND REMAINS STABLE RELATIVE TO CABINET FACE. FINISH IS DURABLE. CUT SCREWS TO BEST-FIT LENGTH FOR DOOR THICKNESS. Rated 5 out of 5 by Calgal from This product is going to add the special touch I was looking for on my new cabinet doors. Purchasing this product was no problem. The only problem was that receiving it took over a week. The hardware came from North Carolina, and took the long route to California. Rated 4 out of 5 by Chris from Modern and functional These pulls are very modern looking and relatively easy to install. The back of the pull has cleats to dig into the cabinet to prevent the pull from twisting during use, and these need to be aligned before final tightening.